Dideolu Falobi, a certified engineer, graduated from the University of Lagos in 1987. He started his career as a Design and Supervision Engineer (1987-89) and later Junior Partner (1992-1996) with Edison Group & Partners, a foremost Electrical power engineering consultancy firm. In these capacities, he was involved in several rural electrification design projects like Local Government Headquarters Electrification scheme (Nationwide, 1987/88), Electrification of 92 towns and villages in Ogun State, Nigeria under DFFRI in 1989, Electrification of 151 towns/villages in Oyo State under its Rural Electrification Scheme in 1992/1993. In 1996, he carried out a comprehensive Redesign of the Power Generation, Transmission and Distribution Systems in the Greater Banjul Area of The Gambia. He was also the Assistant Marketing Manager of H.F.SCHROEDER (W.A.) Limited and pioneer Project Manager of Kresta Laurel Limited between 1989 and 1992. In these companies, he was directly responsible for the Lift and Crane Departments and superintended the execution of several Lift and Crane Installation Projects all over the country. Dideolu joined Lordmart Nigeria Limited in 1996 as the Head of the first Generator Assembly Plant in Black Africa with a capacity for the assembly of 120 generators per month with the capacities being between 27KVA and 1500KVA. In Lordmart Nigeria Limited, he was also involved in the Sales, Assembly, Marketing and Repairs of Massey Ferguson Tractors. He was appointed the Head of the Abuja Branch of the company in 2001. Engr. 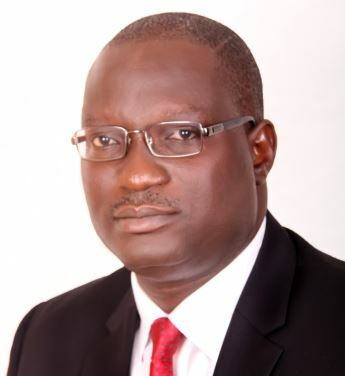 Dideolu Falobi assumed duties as the Managing Director of Kresta Laurel Limited in 2005 with the mandate to carry out a comprehensive restructuring of the company. Engr. Falobi took on the challenge with gusto and went on to comprehensively re-organise the company such that today, the company is the leading wholly indigenous company in the fields of elevators, escalators, Overhead Travelling Cranes and Hoists, Industrial UPS and Industrial and Hangar doors. A lot of major projects have been executed under his watch since 2005 with the client list including but not limited to Shell Petroleum, UBA Plc, Central Bank of Nigeria, The Silverbird Group, Julius Berger Plc, Bank of Industry and several State and Federal Ministries and Parastatals. In recent times, the efforts of Engr. Falobi and his team have been rewarded with major awards and recognition including the 2010 Corporate Merit Award by the Institution of Mechanical Engineering Division of the Nigerian Society of Engineers and the 2010 African Order of Merit in Elevators, Escalators and Cranes among others. A Publication titled “The Industrialisation of Ijesaland” which was presented to the World Conference of the Ijesas held in Houston, Texas in the USA in November 2011. Engr. Dideolu Falobi, a certified ISO 9000 Auditor, is a fellow of the Nigerian Society of Engineers and a member of the Institute of Directors (IOD), the Lagos Country Club and the Ijesa Sports Club among others. Kresta Laurel Limited, incorporated in 1984, has become one of the most respected indigenous Engineering Companies in the field of Electro Mechanical Engineering. KLL is the authorized representative (sole) of some of the most respected brands in Europe such as KONE Elevators of Finland, DEMAG Cranes and Components of Germany, Power Source Generators of UK, AEC INTERNATIONAL SRL of Italy and FRONIUS of Austria.